Pike Place Market and Pioneer Square are just some of the prominent landmarks you see on this tour of Seattle highlights. During a 1.5-hour shore excursion by minibus, an informative guide entertains you with commentary about the city’s history and pop culture while you listen to tunes by Kurt Cobain and other Seattle musicians. Pass by the University of Washington, Chinatown, Lake Union’s floating homes, the Space Needle and more. You will be picked up at your University district hotel, Lake Union hotel, or downtown hotel and then dropped off at the cruise terminal at the end. While you're in port in Seattle, a 1.5-hour city sightseeing tour is a great way to get acquainted with this Pacific Northwest jewel. Your shore excursion begins with pickup at the cruise ship terminal by comfortable minibus; then head directly into the heart of the action in downtown Seattle. Groove to the tunes of Seattle’s renowned musicians — such as Jimi Hendrix and grunge legend Kurt Cobain — while your lively guide shares historical tidbits and humorous tales about the seaside city. Motor past the main retail district, the foodie junction of Pike Place Market and the picturesque waterfront. Snap photos of Seattle’s oldest buildings in Pioneer Square, and learn about the city’s gold rush while passing through Old Town. 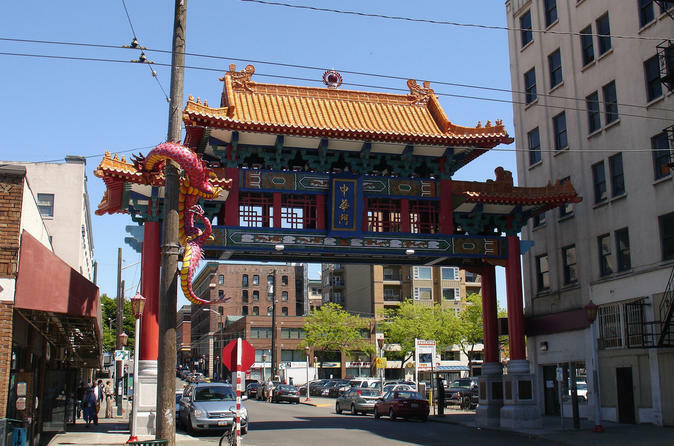 Next, drive through the Chinatown-International District, known locally as ID, which dates back to the early 1900s. Cruise past the former high school of Hendrix and Quincy Jones, drive along Lake Washington and see Governor Albert D. Rosellini Bridge, the world’s longest floating bridge. Pass through Capitol Hill en route to Lake Union, where you'll get a look at its floating homes, including the one filmed in Sleepless in Seattle. Admire the University of Washington, and disembark for a photo op of an 18-foot-tall (5-meter) sculpture called the Fremont Troll, located under a bridge. Make another brief photo stop at Kerry Park to enjoy stunning city views, and glimpse the Bill & Melinda Gates Foundation building and Marion Oliver McCaw Hall, home to the Pacific Northwest Ballet and Seattle Opera. Finally, set eyes on Seattle’s most iconic landmark, the Space Needle, before you’re taken back to the cruise terminal. Worry-free Shore Excursion:We will ensure your timely return to the Seattle port for this activity. In the rare event your ship has departed, we will arrange for transportation to the next port-of-call. If your ship is delayed and you are unable to attend this activity, your money will be refunded. See our terms and conditions for full details.